From the smallest LM85 to the largest LM187, all LM flatbed models are built around a heavy duty welded steel, galvanized chassis fitted with bolt-on tapered drawbars and the Ifor Williams axle beam and leaf sprung suspension. Whenever there's work to be done you'll find a flatbed model to help you do it. Our flatbed trailers epitomise the flexibility of our commercial range. 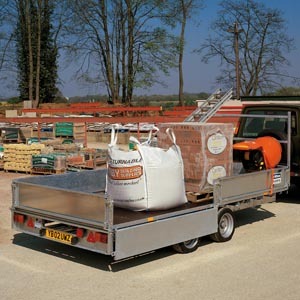 Purchasers from roofers to gardeners, small businesses to local authorities have all found that this range of low loading trailers can carry heavy or bulky loads with ease. The flatbed range is offered in width options ranging from 5' to 7'6" and length options from 8' to 18'.